It's been a while since I read some things from Rajeev Samanta. 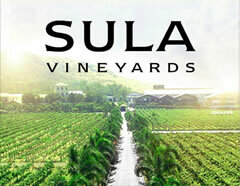 Nice to read about there growth and vision.... Jai ho..
Good information on wines. I got information on cakes from www.luckonluck.com and on wines here for my bachelorette party. Websites are now a good source of information. Keep it up! Not the first Sweet Wine event in Australia. 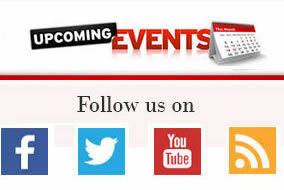 The Riverina NSW has been holding these events for years. Riverina Botrytis is world renowned. OH!! another heavy heavy dose of so much news,so much of deep concerns and involvements, in Indian wine world.You come to know only, when you step in the arena of delwine.Three cheers for such a lovely,compact,all covering comprehensive note on our only MW,SONAL HOLLAND.THANKS,delwine,thanks my wine guru,Cav.Subhash Arora. Excellent information. One can get clear idea, how soil and climate have effect on quality of grapes and subsequently on wines. Growers will definitely get benefit of this. Amazing. This article is very well written with minute observations and great details about the wine, climatic geological and geographical conditions in which the grapes grow and mainly about the vineyards and vine culture of Italy and how passionate they are about vine making. . I'm sure this article has also been written with a lot of passion. This article took me on a tour to Italy but the only thing that is remaining is vine tasting. Keep up the good work. Well articulated article. Enjoyed reading it. The author should be commended for giving details in a lively way. Excellent Article.....!!!! 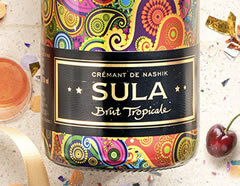 It provides clear idea of Various types of wines from cultivation to its characteristics....!!!! For those who aspire to develop winery it provides quick view about multiple types and for layman it gives idea beyond considering the wine as alcohol only.... GREAT OBSERVATIONS !!!!!! AS USUAL, A UNIQUE TREATISE AGAIN,ON WINES IN GENERAL,INDIAN WINE WORLD, IN PARTICULAR.OFTEN I THINK,IF I COULD HAVE ALL SUCH EXPERT NOTES AND OBSERVATIONS COLLECTED UN MY LIBRARY,I COULD HAVE ONE OF THE MOST FORMIDABLE WINE NOTE COLLECTIONS ,IN THE COUNTRY. So lucidly narrated one of the world's most prestigious wine tasting programs..Subhash's articles and reports, notes or observations are always with loads of incomparable facts and figures on wine knowledge.This was no exception.Enjoyed more as I could match with my experiences out there in Chianti region of Tuscany.I had similar,though in much lesser scale interactions with expert wine makers,producers,Sommeliers to understand Italian wines in totality,including nuances of food pairing and subtle wine courtesies and conventions..Hats off Subhash! !hats off once again!! 04.03.18 A Report...of 03.03.18 Amidst a homely crowd with the renowned friendly warmth,strikingly observed amidst their members,their families and even guests,Radio Club,Colaba,Mumbai,hosted their first day of the 2days,Food and Wine Festival. 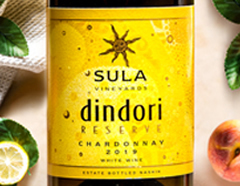 A project conceptualized by their Jt.Hon.Secretary and Chairman of the Bar and Liquor subcommittee,Prakash Mirchandani, has been well received by the local wine units.Amongst the producers,Sula has taken the lead promoting their Dindori Shiraz,priced at Rs.1095,importers,Pernod Ricard India,Mumbai and Prestige Wines and Spirits P.Ltd.,New Delhi threw open a large variety of countries to choose from and their labels,both in red and white.While the former talked much interesting facts and figures of their Campo Viejo wines from Spain,the later displayed and sampled Piccini.Perth Mehta,the young and bright executive of Prestige,enthusiastically narrated stories behind his wines,Piccinis red and white or De Bortoli(Italy/Australia)'s Shiraz cabernet. The Saturdays lofty young and old crowd, both with their ladies, were seen much in interesting tete-e-tete and serious discussions over the range of wines made available at the event.. Senior wine enthusiasts like popular trainer,John Agnel Dsuzza,trainer,teacher,like Ajit Balgi were seen around stalls,sampling. A small but serving quality items food corner was at the adjoining space,serving gastronomical needs. Their 2nd day,4th,today is expected to be more active with larger number of visitors. It's been more than 7 years, I have been following Subhash Arora's role in the wine industry and it has always,without exception, brought in front of me,a one man army 's image behind our Indian Wine world.I had the privilege to be associated with some of his working areas and I feel grateful and obliged to have learnt everyone from him He has been my idol behind my activities around the industry.He shall be more hereafter, and shall remain my inspiration,true.Im sure hundreds of wine enthusists worldwide are gratefully obliged to him.Regards to Subhash. hi, Suman chauhan from Viiking beverages pvt ltd - mumbai. pl share all excise related policy with me also. i am very thankful to you. The German wine estate "Weingut Fuchs" successfully produces wines of very low histamine content; the histamine contents of many of their white and red wines is around or even less than 0.1 mg/l. They provide a concrete analysis for each wine. Website: https://www.weingut-fuchs.de/en/histamine-free-wine.php Please feel free to contact the winery for details. Is port wine 1000 available for purchase on line? pl advise cost and minimum order.